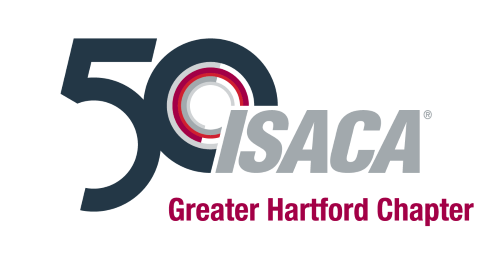 • PART 2: "Beyond the Code: Ethics in The New World of AI"
- A Group discount of 20% off will only be applied in groups of 4 or more when ISACA GHC contacted ahead of time. This talk is an interactive and non-intimidating exploration of the key points audiences need to learn about AI and data science. We'll take a practical, step by step walk through procedures that can be used to explore data, identify opportunities to use AI, and best methods of building predictive algorithms. We will specifically identify analytical tools and statistical methods that are appropriate for a variety of needs and take a live hands-on tour of a statistical program, run analytical procedures and analyze the output, giving ample time for questions and interaction. We will review machine learning, data mining, natural language processing, and a brain computer interface. This is a perfect session for those wanting to learn practical ways to apply data science and cognitive technologies in their work. intelligence and human judgment to improve professional judgment and decision making. You will learn to recognize the strengths and weaknesses of human reasoning processes and algorithmic processes and use that knowledge to avoid biases and leverage insight. Cognitive technologies have profoundly changed the way we mine data, conduct analyses and communicate information. Technology has distanced us from the context of information, and from other people. But proximity helps us recognize the ethical component of issues. If ethics is driven by empathy and our connection with others, how can we achieve it in a world of algorithms and rules? The audience will be engaged in interactive experiments and real-life examples to apply ethical judgment in the new world of robotic processes. Attendees will learn how to apply the ‘Mind-lens’ model developed by Dr. Groves and apply it in situations of automated decision making. Attendees will learn effective reasoning approaches to assess the ethical components of algorithmic processes and understand influences that impact ethical reasoning of robotic processes. • Analysts, auditors, governance and compliance professionals, and those working in the IT, HR, legal, and medical professions as well as executives, policymakers and other decision makers who want to gain a better understanding of how to apply AI and cognitive technologies in their work.